The Autumn wedding season often brings a colour palette of traditional orange tones with gold and red. 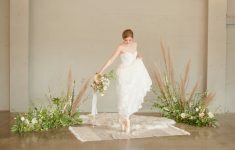 Being lovers of light and airy wedding photography and styling, we wanted to show you how you can embrace the beautiful Autumn season with a softer colour palette and we’ll show you some of the key 2019 wedding trends that would be perfect for this season too! Let’s start with the colour palette! 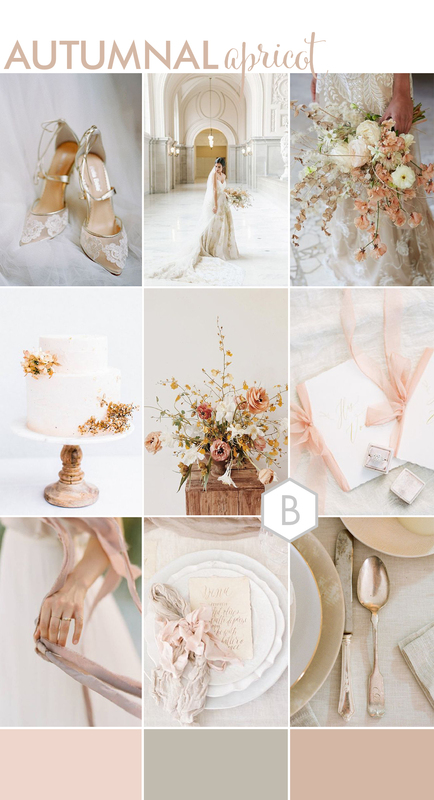 You may know by now that we’re big on neutrals here at B.LOVED, and it’s a growing trend in the wedding world too. We took this and added subtle hints of a timeless, antique style gold with cutlery and calligraphy and this is complimented so beautifully with the subtle apricot colours you’ll find in the flowers below! Trends for colour palettes include the rich golden ochre yellow hues and warm peach to burnt oranges. So this feminine colour scheme is a great nod to these and the season. 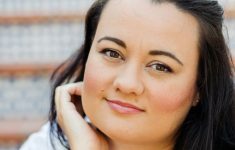 Using texture is another trend that is going to be huge in 2019 and Louise gives you all the details on how to incorporate this into your wedding day in her feature about the ‘Oh so elegant trend of modern organics’. 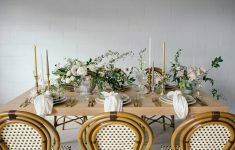 here, we used texture from dried flowers and vintage lace details, to soft silk ribbons and mixing your table linens and napkins in complimentary fabrics. Cheesecloth and muslin look great with traditional linens and cotton as they give a more organic, unstructured look – so romantic too! 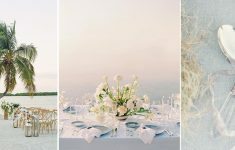 We adore the more unstructured and organic style of floral design for this look, it’s very fine art and romantic with unsymmetrical shapes, and far reaching, wispy flowers. The bouquet design by Siren Floral Co captured by Stephanie Williams, This Modern Romance has the loveliest brown Sweet-peas which are a modern apricot – almost salmon shade. 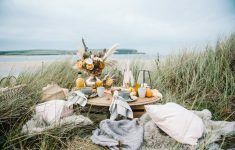 We’d love to know what you think about this concept for an Autumn wedding and if you want to see more of our inspiration moodboards, you can find plenty here!